I thought it would be a good idea to flick through the photographs that I had been taking through 2017 as this year is drawing to a close. I have selected one of my favourite photographs from each month with a small description of where it came from. Most of them will also be found in my instagram feed. It was taken at the Glasgow Necropolis. It was one of the first (of many) instameets that I went on this year. This was the first time that I had been to Glasgow to take photographs, it was a very long day and I think I came back with over 300 photographs, but this was my favourite. It's a bit dark, but then it was a cemetery. The person in it is Jens @jensinscotland. February saw a number of friends meeting up in Edinburgh, all instagrammers of course. Although we started up in the town centre we ended up in Leith. I caught this shot of @alycoste and @davidgulliver_photography at Newhaven Harbour. The way I caught Alayne's hand made me think she was asking for an explanation from David. I didn't really notice this until the day after. Amusingly the first two photographs from the year actually had people in the shots which usually isn't my style. Another visit to Glasgow in March, this time with @davidgulliver_photography and @ashcharlton. There were a number of shots that I liked from this trip, especially the light trails from Charing Cross, but ultimately this was my favourite from the cloisters at Glasgow University. It took a while to get the photograph without any people in it. So many shots are about patience more than anything else. The first of my many trips to my second home this year allowed me to take a lot of photographs of places that I hadn't shot since 2013. 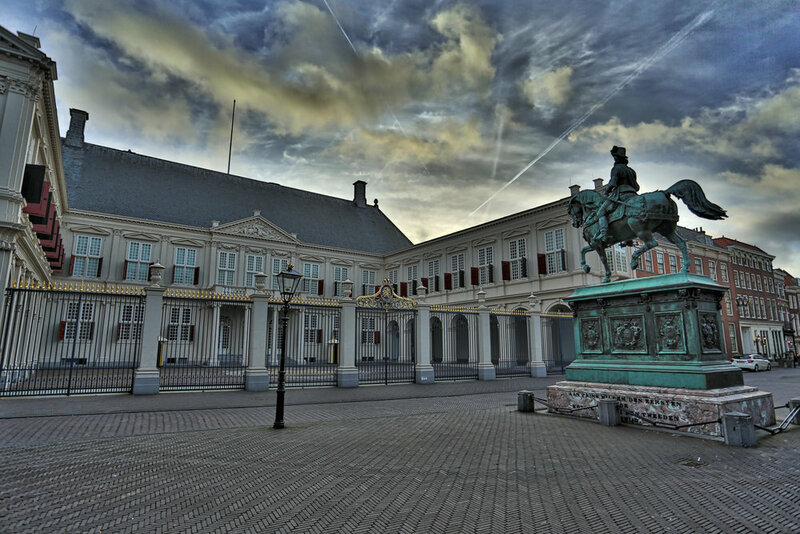 This is the Noordeinde Palace in The Hague, also know as the working palace. See the comment above about patience... I live close to this palace and it has various ceremonies each year which can be nice to watch. Noordeinde is also my favourite street in The Hague, so much to see and do.